Montelukast is a selective and orally active leukotriene receptor antagonist which inhibits the cysteinyl leukotriene 1 receptor, effective and well-tolerated preventive treatment for asthma and allergic rhinitis in adults and children. Montelukast effectively controls airway inflammation (upper & lower) induced by leukotriene. 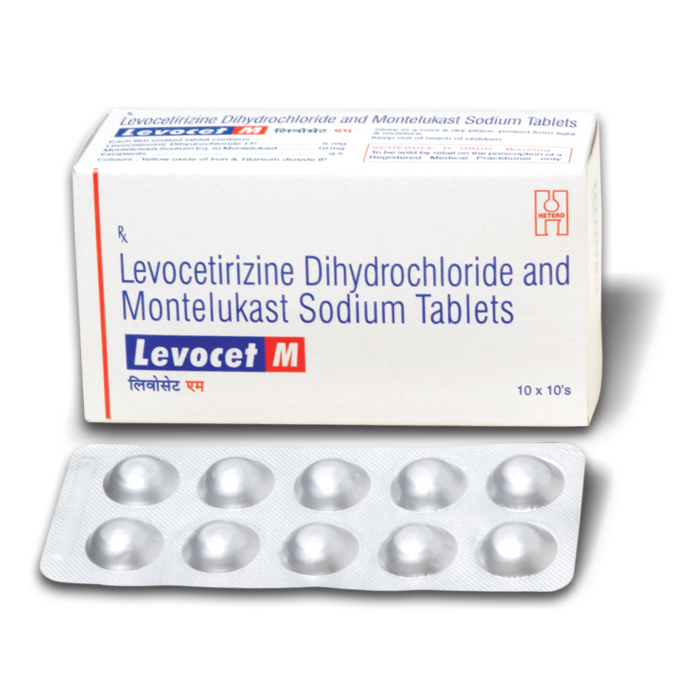 Levocet M Tablet is used in the treatment of sneezing and runny nose due to allergies.